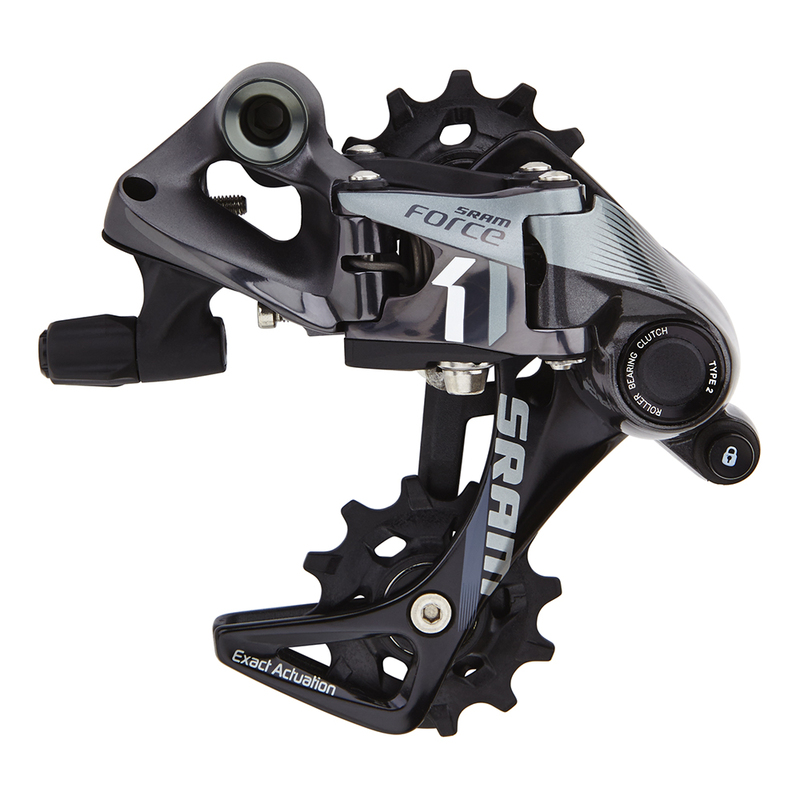 The SRAM Force 1 Rear Derailleur adopts all the technologies of SRAM 1X MTB to provide the fastest, quietest 1X11 shifting available. SRAMs unique clutch system eliminates chain slack, providing for smoother, quieter, and more secure chain travel. A dedicated 1x rear derailleur. Exact Actuation for fast and accurate shifts using SRAMs 1:1 actuation ratio (shifter cable travel: derailleur movement). 10 and 11 speed compatible. 32 Tooth maximum rear cog. X-SYNC pulley features a 12-tooth design that helps control the chains lateral movement. X-HORIZON straight parallelogram design limits all movement to the horizontal axis, which makes ghost shifting impossible while also reducing shift force. ROLLER BEARING CLUTCHs one-way roller clutch controls chain tension for consistent shifting. CAGE LOCK technology makes for fast wheel changes or chain installation. Weight: 261g.